POWERSYNC residential, commercial, and utility scale Energy Storage Systems (ESS) are available in a variety of voltage and capacity configurations ranging from small 2.56 kWh off grid systems to large MW micro grid applications. The POWERSYNC microgrid can be supplied fully integrated with a complete platform of balance for systems and is compatible with any renewable energy power generation products. POWERSYNC also offers financial services for net-zero financing for residential, commercial, municipal or utility scale projects. 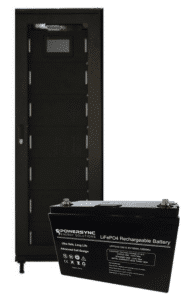 POWERSYNC has developed a large selection of small and midsized lithium battery systems both in rack and cabinet form. Lithium options also include drop-in replacements to standard lead acid batteries. 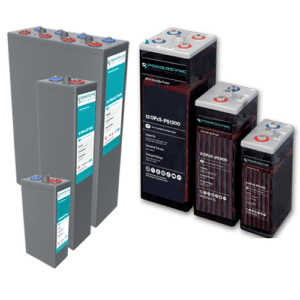 POWERSYNC’s lead acid battery solutions include flooded lead acid (FLA) and valve regulated lead acid (VRLA) technologies. Our deep cycle AGM and OPz options are perfectly designed for small to large scale energy storage and OEM projects. 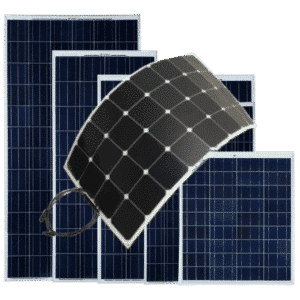 POWERSYNC solar panels are manufactured by today’s leading Tier 1 PV module manufacturers and range in size from 235W to 500W. 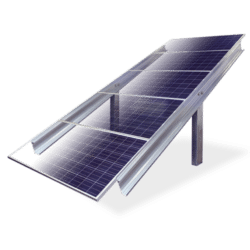 Our entire panel offering comes with full manufacturer warranties and insurance making for an easy incentive and rebate process. These panels are a perfect solution for residential, commercial and utility scale projects. 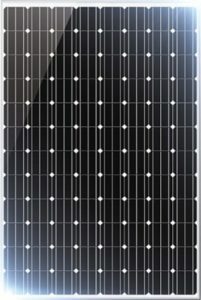 POWERSYNC low voltage solar panels are highly efficient and rugged modules providing ultra-high output per square foot. Our flexible solar panels use either monocrystalline or polycrystalline cells with efficiencies between 16% to 20%. Available in 10-160W modules, making them a perfect fit for small off grid application.